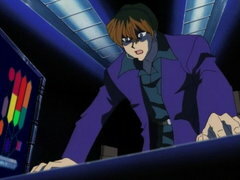 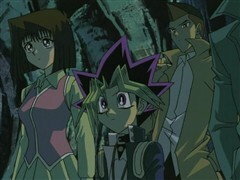 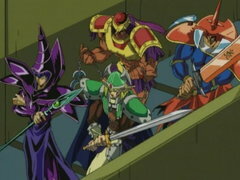 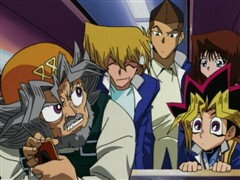 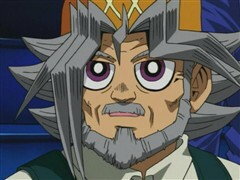 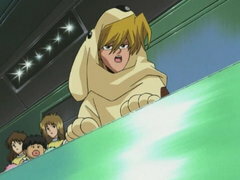 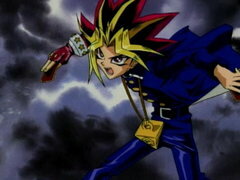 YUGI prepares for the ultimate battle against PEGASUS with the souls of GRANDPA, KAIBA, and MOKUBA on the line. 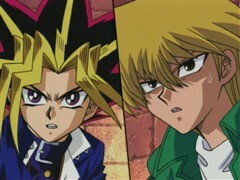 Meanwhile, TRISTAN and BAKURA infiltrate the castle to find the KAIBA brothers, but is BAKURA turning back into his evil self again? 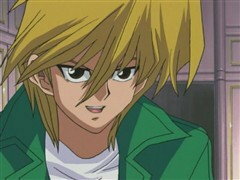 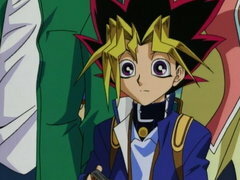 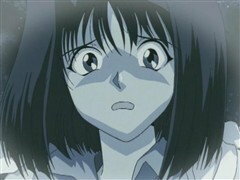 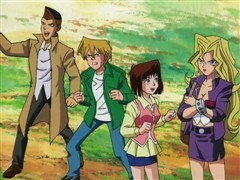 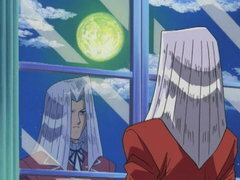 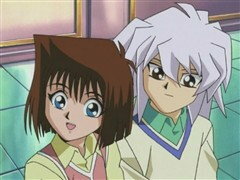 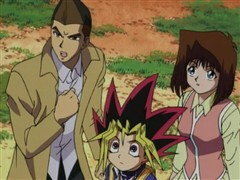 YUGI has found a counter to PEGASUS’s mind-reading ability: YUGI switches back and forth between his two souls! 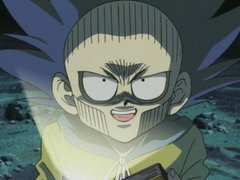 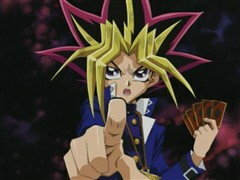 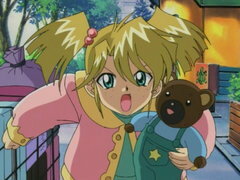 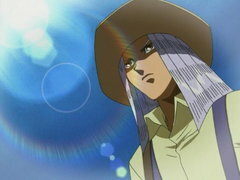 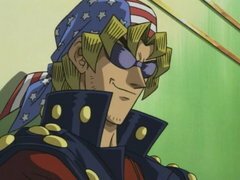 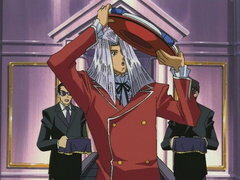 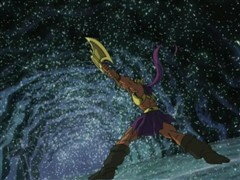 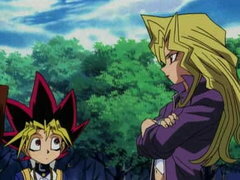 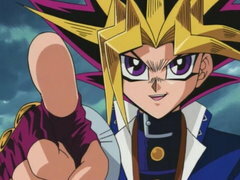 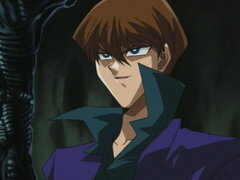 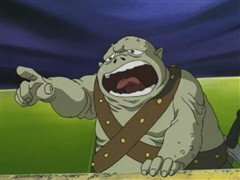 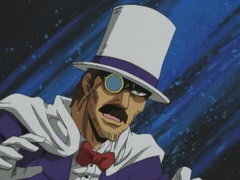 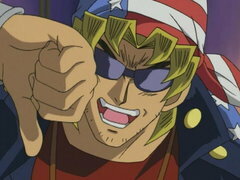 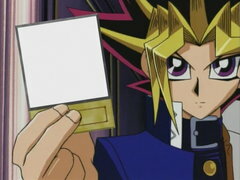 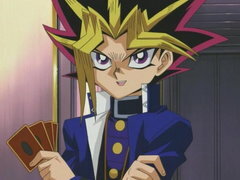 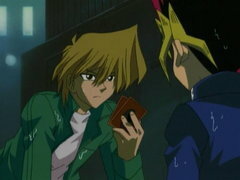 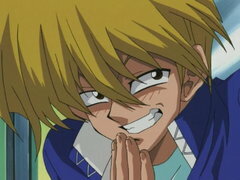 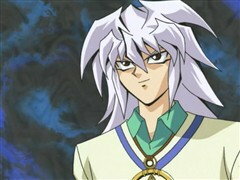 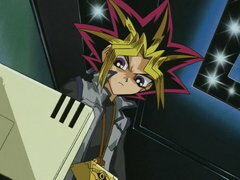 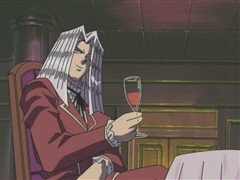 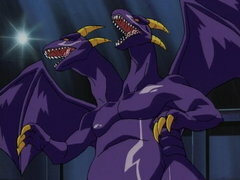 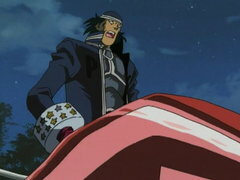 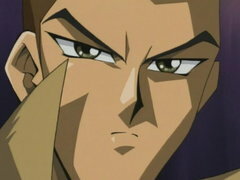 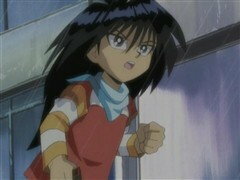 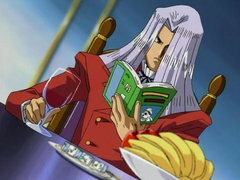 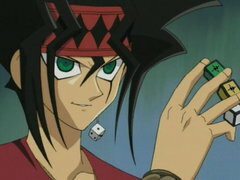 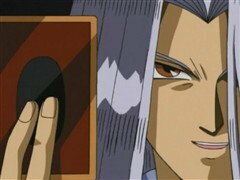 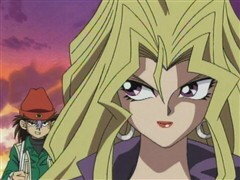 YUGI is able to destroy PEGASUS’s Toon World, but the duel has just only begun. 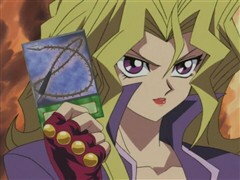 The next level of the deadly Shadow Game is about to start!